A riot of fruit flavours, this juicy fruit wine is perfectly balanced with soft acidity for a very enjoyable and easy to drink sipper. Made from a secret blend of Pinot Gris, Semillon, Chardonnay and three aromatic varietals: Gewürztraminer, Riesling, and Viognier, this wine has a vibrant spectrum of Okanagan fruit flavours. Food Pairing Notes: Perfect alone or paired with fresh vegetable and seafood appetizers. This was a featured wine in the monthly Wine Club in October. Appearance: Bright, clear, pale straw in colour. Nose: Medium-plus intensity aromatically, with red apple, lemon meringue, pineapple, tropical fruit, spice and apricot notes. 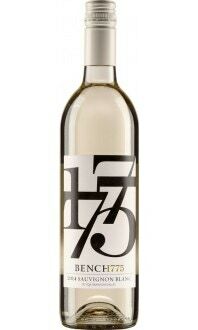 Palate: Light-plus bodied, somewhat viscous white, delivering ripe peach, red apple and pineapple notes on the palate. There’s a richness to the fruit that adds elegance, and some modest acidity keeps things balanced texture-wise. Quality: A cheerful crowd-pleaser that’s ideal for warm weather in late summer/early fall, the Chill will appeal to wine drinkers across a wide range of palates. Food Pairing: Sushi, fish tacos, roast turkey, mild curries, soft cheeses. This proprietary white blend is predominantly Pinot Gris, Chardonnay and Viognier, but the addition of aromatic grapes such as Riesling and Gewürztraminer lifts the stone fruit and spice notes into focus. Semillon brings great texture into the mix. The ripe Okanagan fruit was fermented in stainless steel, meaning the bright fruit shines through without the influence of oak. The decision to retain some residual sugar in this white means it’s just off-dry, and the tropical fruit (mango, pineapple, guava) notes sing. A fresh, universally accessible wine, pop the Chill in the fridge for an hour, then pour yourself a glass and chill out.